It's the kind of story everyone loves, bursting with mystery and action… On 12 April, after several months working in the utmost secrecy, Paris expert Eric Turquin made public "Judith beheading Holofernes": a painting of a power and violence that could only have come from the hand of the great Caravaggio. The work, discovered in a house in Toulouse by the auctioneer Marc Labarbe, has now been classified a National Treasure. Like most of the pictures attributed to the Italian master (whose corpus contains only 60-odd works, as we know) this one has caused much controversy between sceptics and optimists. And the affair, hitherto absorbed by questions of attribution, is now further complicated by doubts on its provenance. Carole Blumenfeld, in the Quotidien de l'art, now tells us that the "Spanish lead" announced from the outset "is based more on fiction than fact", while the regional newspaper La Dépêche du Midi, citing the academic Mickaël Szanto, has suggested that from the early 17th century onwards, works by Caravaggio were present in Toulouse, the rose-red city, and were sold at famous tombolas organised by art dealers like Pierre de Bruyn. Decidedly, this story with its mix of light and dark has all the ingredients of a detective novel. But as we know, the man who revolutionised painting was nothing if not a storybook hero. Initiated in September 2015 to celebrate the 130th anniversary of bilateral diplomatic relations, France-Korea Year has involved events all over France: nearly 200, in fact, highlighting Korean culture in all its diversity. 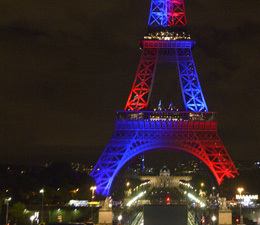 France Year began in Korea in March, and lasts until December 2016. 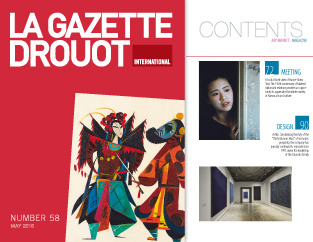 Henri Loyrette, chairman of the organising committee, and Agnès Benayer, general director, agreed to talk to the Gazette Drouot about this rich and varied programme. Loyrette, the former director of the Orsay and Louvre museums assumes this chairmanship with undisguised pleasure. Why is Korea so fascinating, do you think? Henri Loyrette. We are still in the process of discovering Korea. In terms of creation, it's a country that has emerged more recently than China and Japan. As we know, after the Korean War, and for years after that, it was one of the world's poorest countries. Its recovery – not only economic but also intellectual and artistic – commands our respect. The time is long gone when André Breton said of Gustave Moreau that his museum was "huge and empty, with frames that were too gilded and too dated" and accused the institution of "prolonging beyond his death the exile he wanted to retreat to." In 2015, the museum received 58,239 visitors – many more than in 2013 (only 22,000). Mere curiosity (the museum reopened in January 2015 after a year of refurbishment work) or a sign of growing interest in Symbolism through one of its finest exponents?